The Annual General Meeting was held last weekend at Attwood in Victoria, with delegates from 21 branches attending. The 2016–17 Annual Report was presented at the AGM, which you can download in PDF format here. The big outcome from the AGM is the introduction of a new membership firearm insurance package. The firearm indemnity scheme that members have used and enjoyed for the past several years unfortunately has had to be retired, but we have an exciting new package which will provide our members with more cover and better peace of mind. One major change with the new insurance: you no longer will have to list your firearm with us for it to be covered. The new insurance covers FGA members for every firearm legally registered in their name. Whether you have one firearm or five, whether it’s a shotgun or rifle, whether it’s your firearm that you use every weekend, or one you have registered to teach your son or daughter how to hunt responsibly and safely, there’s no extra charge. Once the new insurance cover commences (April 1, 2018) we will be removing your firearm details from our systems in the interests of your privacy, confidentiality, and security. In the meantime, we will naturally be honouring legitimate claims as per our old indemnity. The new insurance, included in your membership, covers for up to $12,000 per claim – a huge increase from our $1,000 cover – and members have the option to increase their cover to $25,000 per claim for an additional yearly fee of just $10. The new insurance also covers accessories directly related to your firearms. So gunslips, cases, chokes, scopes are covered too – but not your boat, 4x4 or your ammunition. Bulging or burst barrels are also covered – previously we couldn’t provide cover for this, and while there is a small excess of $50 for each claim, this is fixed and won’t change no matter how many claims you put in. We’re looking forward to rolling out the new insurance offer for our members in 2018. 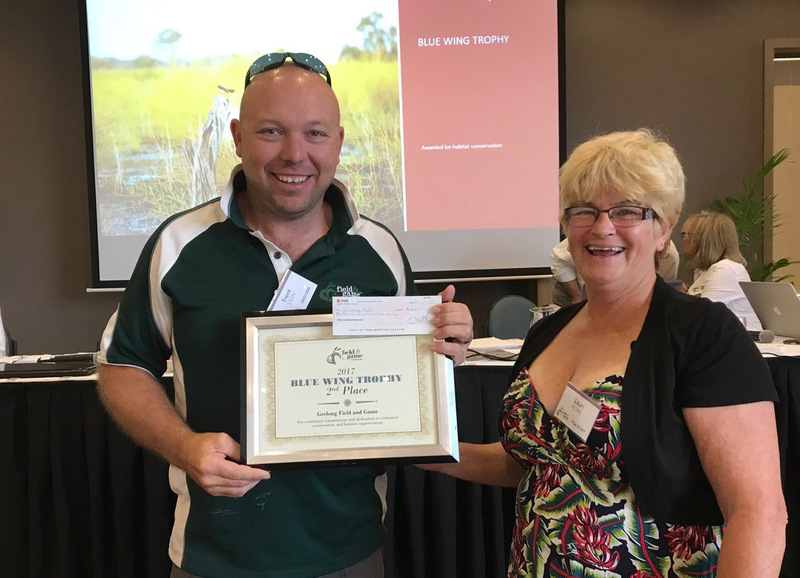 The AGM is also FGA’s opportunity to recognise branches who have excelled with regards to conservation, pest animal control, and positive representation of FGA’s goals, objectives and values; as well as giving branches the opportunity to show their gratitude to members who have gone above and beyond the expected contribution to branch projects and events. This year only two branches submitted nominations for branch and member awards, we would love to see more FGA branches across the network putting their hand up for recognition. Volunteers are vital to FGA branches and to the Association as a whole, and we want to say thankyou for all your hard work. Branches receive awards information packs each year in the lead-up to the AGM, so make sure you check it out next time – and if you haven’t seen one, please give the National Office a call! The Blue Wing trophy showcases the volunteer conservation efforts performed by FGA branches throughout the previous 12 months. 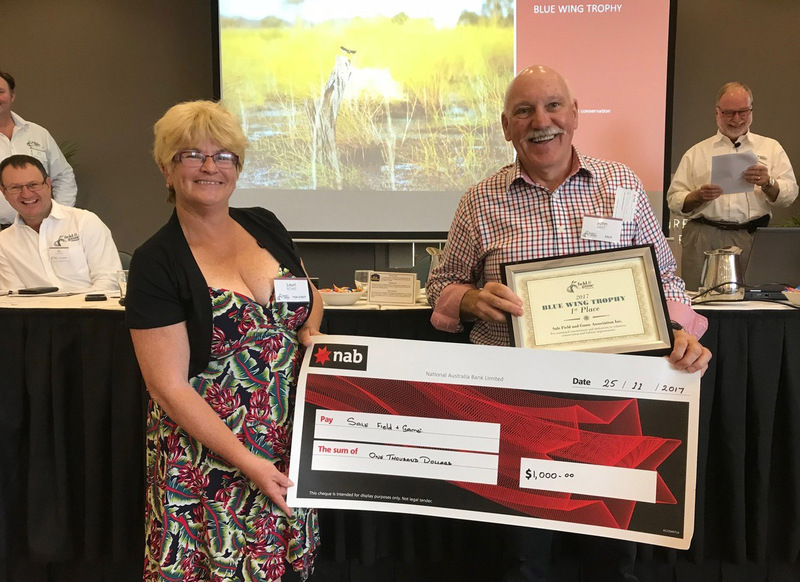 This is the highest honour that a branch may nominate a member for, and was awarded to Ray Phillips of Geelong for his contributions over a period of more than 20 years. Ray became involved in the early 1990s when he joined the Geelong subcommittee for the shooting ground at Murgeboluc, and took on full responsibility for running the range from 1996 to 2002. Ray has also lent his experience with rebuilding the Geelong clay target shoots after 10 years without a ground. Ray has served as President and Treasurer on separate occasions, during his 16 years of service on the committee, and typifies the FGA member who makes a difference: he gives selflessly of his time and expertise, participates at all levels and in each facet of FGA. 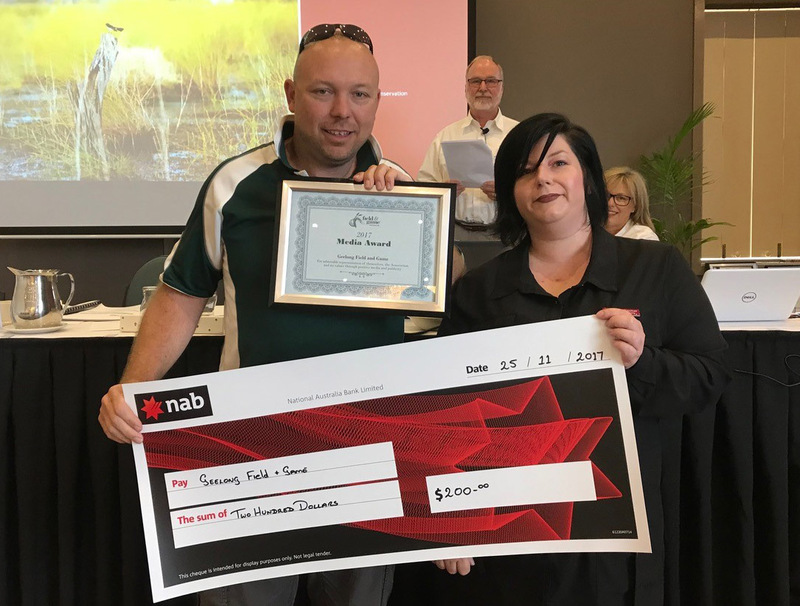 He has also been a major contributor to the Connewarre Wetland Centre project, devoting countless hours of his time and his knowledge as a builder to this project. 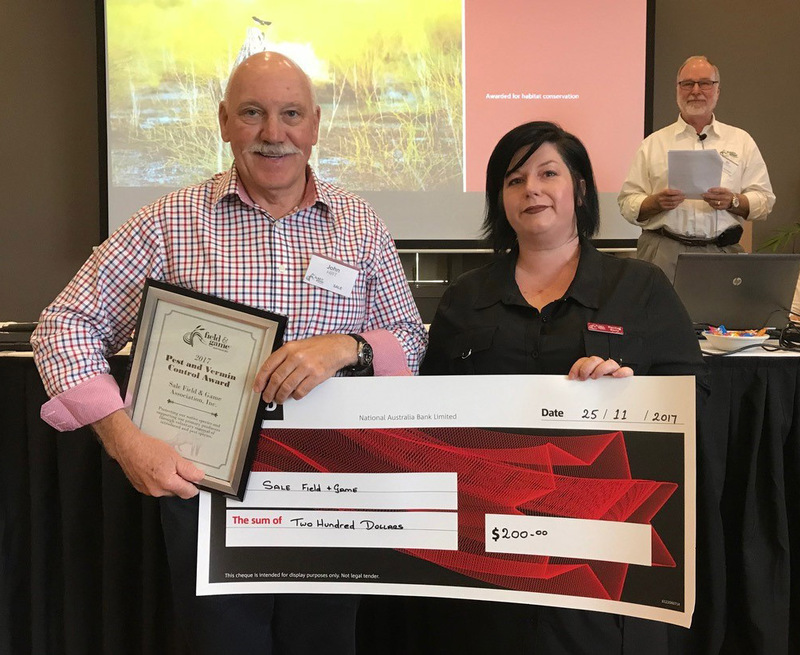 While he retired from the Geelong committee earlier this year, Ray has pledged to continue to make the Connewarre Wetland Centre project a reality.